After a relaxed breakfast, you will be picked from your hotel in Kampala and drive through Bombo and Masindi town to Murchison falls national park.En route at Ziwa Rhino Sanctuary for Rhino tracking. Have lunch then proceed to Murchison falls national park via the Kichumbanyombo gate. You will be driven to the top of the falls for a breathtaking sight of the raging Nile as it forces its way through the rocky gap. It will take you about 6 hours to reach Murchison falls national park. Dinner and overnight stay Para safari Lodge (Luxury) Pakuba Lodge Safari Lodge (Mid-range)Sambiya River Lodge (Budget). Have a cup of coffee or tea and, go for an early morning game drive on the Northern Bank of the Murchison Falls National Park. Expect to view animals that are unique to the African Savannah including the giraffe, elephants, lion, antelopes and the Uganda Kob. Return to the lodge for full breakfast and relax until lunch. In the afternoon, you will go for a launch cruise along the Nile River which will take you to the bottom of the falls. Stand chances of seeing hippos basking in the sun, crocodiles, elephants and a number of bird species including herons, ducks and the bee-eater. After an early morning breakfast, depart for Kibale National Park via the Albertine Escarpment of the western Rift valley along the Masindi-Fort portal road passing through the verdant country side and traditional homesteads and farms. Dinner and overnight stay at Ndali lodge (Luxury) Primate Lodge (Mid range) Chimpanzee Guest House (Budget). Today, after an early morning breakfast, you will be required to report to the ranger station in Kibale Forest National Park at around 8:00 am to track familiarized Chimpanzees. These apes are more closely related to humans than any other living creature. As you track these apes, you will see other primates including the Vervet monkeys, red colobus monkeys, Black faced Vervet monkeys rare L’Hoest, blue monkey, grey mangabey, pottos,vervet monkeys, black faced and Baboons.You will also stand a chance of seeing a number of bird species as the forest is a home of about 335 recorded bird species. After lunch, you will transfer to Queen Elizabeth National Park via the Northern crater area- a place with beautiful lakes and rich grasslands which are set in the crater valley. It will take you about 4 hours to reach the park. Dinner and overnight stay at Mweya Safari Lodge (Luxury) Kyambura Game Lodge (Midrange) Enganzi Lodge (Budget). Have a cup of coffee and go for an early morning game drive. During this game drive you will catch up with the early risers and predators returning to their hideouts. Throughout the game drive, you will be likely to meet grazing hippos, elephants, lions, spotted hyenas, bushbucks, water bucks, stripped jackal, leopard and of course the several warthogs. Return to the lodge for lunch and relax by the side of the swimming pool. After lunch, take an afternoon boat trip along on Kazinga channel. This will give you the opportunity to view wildlife up close: hippo’s huff and spray mere feet away from the boat, buffalo linger in the shallows. The shores of the channel are also home to an array of birds including pink backed pelicans, pied and malachite kingfishers, saddle billed stork and many others. After this wonderful afternoon, a slow drive back to the lodge. 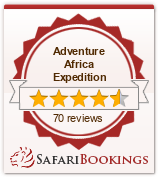 Dinner and overnight stay at Mweya Safari Lodge (Luxury) Kyambura Game Lodge (Midrange)/Enganzi Lodge (Budget). Today you transfer to Bwindi Impenetrable Forest National Park. The park is a home to the few remaining mountain gorillas. Avian life and primate life in Bwindi is quiet excellent as it houses over 348 species of birds. Dinner and overnight stay at Mahogany Springs (Luxury) Silverback lodge (Mid range)/Buhoma community Bandas (Budget). After an early morning breakfast and briefing from the guides, you will set off for the mountains gorilla tracking inside the Bwindi forest. The activity stands as one of the unique activities you will enjoy while photographing and observing the gorillas. After tracking, come back to the lodge and relax. Dinner and overnight stay at Mahogany Springs (Luxury) Silverback lodge (Mid range) Buhoma community Bandas (Budget). Today, you will drive back to Kampala then to Entebbe International airport for your International flight.